Spotify and Tinder: Marketing match made in heaven? We spoke to the folks at Leo Burnett, the agency Spotify appointed to handle marketing in India and we found out that there is no "official" partnership between Spotify India and Tinder India for this campaign. 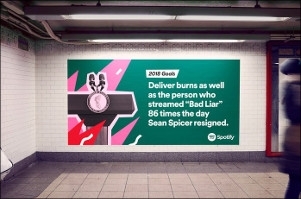 However, the team mentioned that Spotify has taken special permission from Tinder to use the brand name for this particular campaign. Tinder India had the last word in the exchange. Spotify is pushing their Indian playlists in a big way. Playlists have been curated to include top hits in multiple languages - Hindi, Tamil, Telugu, and Punjabi. Playlists will also include music from popular Bollywood, Tollywood and Kollywood films. The app will also look at the songs that are trending in Mumbai, Delhi, Bengaluru, and Chennai with algorithmic playlists. "Spotify's arrival in India is a big step forward in our overall global growth strategy," says Cecilia Qvist, Spotify's global head of markets. 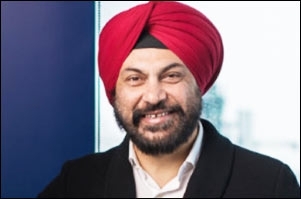 "A fundamental piece of that strategy is staying connected to global culture while allowing room for local adaptation and we've certainly achieved that with our India launch. We've worked closely with local teams of researchers, engineers and cultural tastemakers to ensure this global product is going to be loved, used and favoured by people all over India, whether they're listening to local Bollywood and Punjabi hits or discovering curated global playlists of K-pop or Brazilian funk." The announcement film that Leo Burnett created for the launch of Spotify in India had quite a few global flavours while retaining a desi touch. To celebrate Holi, Spotify took to social media for a digital campaign called #PacketMeinPlaylist. The visuals featured plastic packets of powdered colour. Opening the search tab in the Spotify app allowed users to scan the unique code on the virtual packet and it would accordingly open a Spotify playlist in the app. Spotify used this campaign to highlight their offerings in different languages. Beats pe rang barsenge. Hindi hits pe khelo Holi. 1) Screengrab this colour packet. 2) Go to the search bar in Spotify. 3) Click on the camera icon and choose 'Select from photos'. Groove to the Punjabi boliyan this Holi ya. Holi hai. Dappankuthu moves banta hai. We got some bops for you, Bava. Spotify India's leg is different from what they have to offer in other markets. This is the first time that Spotify Free will allow smartphone users to play every song on demand. Going premium for Rs 119 a month will open up a host of features like offline listening and track downloads. Spotify will be competing with the likes of Apple Music, Google Play Music Times Internet's Gaana, Reliance-acquired Saavn, Airtel's Wynk, Hungama Digital's Hungama Music and others.